What a long way I have come from first finding out that my great grandfather, Jacob Goldberg's original name was Neiman or #Newman. In fact if the family name was written at all in the Botosani, Romanian Records, it was Goldenberg. That was a huge surprise as I had always heard the name was Goldberg! Surnames were rarely recorded in those early records. Jacob's mother smuggled Jacob from #Ushitzer Podolier to Botosani, Romania. The belief was that his mother Malca knew a branch of the Goldberg family and sent him to that family. This is from jewishgen showing how the name changed from c. 1900 to c.1950. What else had I originally found out 4 years ago from what Jacob Goldberg's granddaughter, Bea Oberhand had written at least 25 years ago? Jacob Goldberg had a brother Moishe Neiman, who remained in Russia. Moishe's daughter moved to New York and was known as Bobba Cooper. Her children from her first marriage were Morris Walder and Mrs. Cooperman. Her children from her second marriage were Minnie, Mary and Irving Cooper. 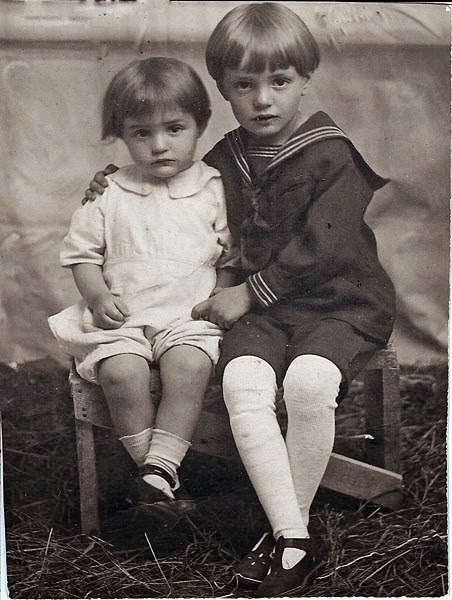 Cousins, Louis and Kaufman Walder, from the Russian town of Ushitzer Podolier came to Montreal and then moved to New York. From the 1988 Tape, Aunt Minnie related that Jacob sent money to Kaufman Walder to come to Montreal. Jacob then found out that relatives lived in New York.. His niece, Bobba Cooper, invited him to the wedding of her oldest daughter. I heard that my great grandparents, Jacob and Pinie, brought Esther to the wedding because she was of marriagable age. There she met Hyman Stein at the wedding in 1914. Just this week I found some census information that I had written down when I started my genealogy search in 2010. It was for a family of Hyman Cooper and Beckie Cooper. I had looked at the 1910, 1920, and 1930 Censuses. I went over all the names and also looked at the New York Census of 1915 and 1925. Several names of the children were there, Morris, Minnie and Mary. There was an Irving ( could the person be Isidore? ) Sarah, a new name, was in the 1910 Census and was the oldest daughter in this family. She was not with the family in the 1920 Census so this would fit if this was the wedding that the Goldbergs went to in 1914. She could be Mrs. Cooperman. The 1930 census provided more clues!.What was the clincher was finding an A. Newman, age 50, born 1880 in Russia and noted as the brother-in-law of the head of the family. This would mean that he was "Beckie's " brother. So the name they used was Newman not Neiman. Beckie / Rebecca was the name that Bobba used in New York. Searching now under the name Newman brought me to an Ancestry Family Tree with the familiar names and much more. 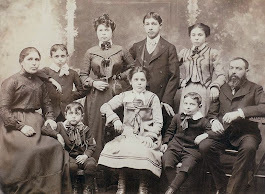 I contacted the owner by e-mail messages through Ancestry and I realized I had found the family!! Charles Mehlman wrote that "Bobba" Cooper was his great aunt.
" Her sister Lena Newman married a Goldberg. Rebecca Newman/ Walder/Cooper 's father is Velvul as shown on my tree but was likely Moishe. I have no info on him other than he married my great grandmother Esther Rosenberg. She is buried in the First Uschitzer Plots in Mt Hebron, Flushing, Queens, New York." "My father's mother Kate Newman was the sister of Rebecca Newman. I did call one of the Newmans. She said her father, Sam Newman, brother of Rebecca was sent to the Goldbergs and adopted by them. Same story, different people. We have Goldbergs in our family through marriage. Lena Newman married Meyer Goldberg. I knew him and Lena as a child. I never knew my grandmother as she died when I was a year old. 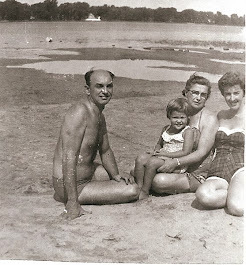 Meyer died in 1953 and Lena in 1965." "You mention Kaufman Walder and his brother Louis. They are somehow related to Rebecca's first husband Benish Walder. My father saw the brothers on a regular basis as a young man and I saw them as a child. I recently learned that they had come to the US from Canada." Charles invited me to see his Tree so I have learned the names of an overwhelming number of people. It will be very interesting to see the gravestone of Rebecca or one of her siblings to find out what her father's name is: whether it was Moishe as I was told or Velvul that Charles was told. It would be great to find out what happened to this brother of my great grandfather Jacob. 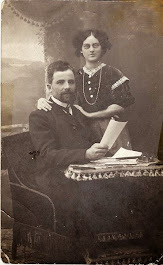 Moishe/ Velvul's wife Esther Rosenberg died 22 Jul 1922. Upon learning of other Newmans, I looked at the Census Records. Esther lived with her daughter Lena , husband Meyer and their sons Dave and Ben in 1920. Esther was 80, widowed; had immigrated in 1899. So that would mean Esther was born about 1840. Rebecca/ Beckie/ Bobba Newman was born in Ushitzer Podolia about 1875 and died 30 Mar 1959. She and her first husband Benish Walder had 3 children. Rebecca and her second husband Hyman Cooper had 3 children. Hyman was born about 1875 and died 30 Jul 1957. Minnie was born about 1906. She married Irving Grossberg, 29 Jun 1930. Irving was born 1907. They had 3 daughters, Elaine, born 22 Feb 1931 (Marvin Gold), Gladys, born 22 Mar 1931 (George Fusfield) and Cheryl (John Train). Hyman Cooper, 38, designer of boys' caps, born 1872, immigrated 1890; Beckie Cooper, age 37, born 1873, immigrated 1899; Sarah, age 18, born 1892, buttonhole maker for sweaters, immigrated 1899, Aaron, age 17, born 1893, spooler for sweaters, immigrated 1903, Morris, age 13, born 1897, immigrated 1903; Minnie, age 6, born 1904; Mary, age 4, born 1906. Isidore, 16 months, born 1909. Harry Walder is not in the 1910 and 1915 Census Records. He married Rose Heftman and their first child Joseph was born 28 Aug 1918. Could Harry be Aaron? More information is needed to determine this. Baila / Beila / Bessie Newman was born 1877 in Uschitzer Podolia, She married Efraim Housman/ Huzman. . They had 3 sons. "Beile" immigrated with her 3 sons, "Srul", "Benisch" and "Munie" Huzmann. They left 5 Jul 1913 from Rotterdam on the ship, Noordam and arrived 14 Jul 1913 in New York. They were going to their husband and father, Froim Huzmann. Ben Housman/ Benisch Huzman was born 24 Aug 1900 and died Nov 1967. Ben married Claire Bass, born 8 Apr 1907 and died 3 Oct 1994. They had 2 sons. Ira, born 29 Sep 1937 married Kail Haimowitz. They had 3 children, Mark (Linda Himmelfarb), Joanne, and Beth, (Andrew Tenzer ). William married Arlynn Menachem and they had 2 sons, David ( Sarah Rasnic ) and Brian Frank (Amy Grubb ). Murray was born 25 Jan 1905 in Sigourni, Romania and died 27 Jul 1978. Murray married Dinah Projan, born 12 Feb 1908 ( Birthdate given in husband Murray's 1935 Petition for Naturalization Certificate , alternate birthdate, 7 Sep 1907) and died 28 Oct 1987. They had one daughter Barbara, born 2 Oct 1933 and died 25 Nov 2007. Barbara married Benjamin Harrison, born 29 Jun and died 26 May 1966. Murray's Petition for Naturalization is very valuable for the information it gives. Lena ( "Lillie" ) and her family were living beside her sister Katie ( "Gussie" ) and her family. Husband Charles was " George" and daughter Sally was " Sarah". Other children were Mary and Reuben. Dave, born about 1900, married Rose. Ben, born 5 Jun 1903, died 16 Dec 1992 ( Sara Klein, born 22 Jul 1909 in Montreal, died 9 Sep 1973. Yetta was born about 1906. Samuel Newman was born about 1883 and died 5 Jan 1966. He married Bessie Lachterman, born about 1884 and died 5 Jan 1966. They had 4 children. Minnie was born about 1906 and died in 1996. Katie Newman was born 1885 in Ushitzer Podolia and died 15 Aug 1948. She married Charles Mehlman, born 15 Sep 1875 in Ushitzer Podolia and died 27 May 1924. They had 4 children. Sally was born 16 Apr 1904 and died 14 Nov 1956 in Dade County, Florida. Ruby was born 1 Jul 1909 and died 26 Apr 1979 ( Marian Hartman, Georgia Johnson). William was born 2 Mar 1914 and died 14 Feb 1980 ( Irene Esses, born 8 May 1920, died 3 May 1996 ). The two Walder brothers, Louis and Kaufman's link to Benish Walder is to be determined. Kaufman Walder was born 15 Apr 1896 in Ushitzer Podolia and died 30 May 1966. 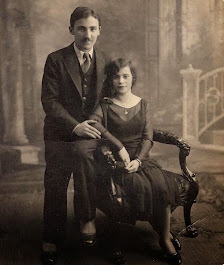 Kaufman married Yetta Franckel, born 15 Mar 1903 in Kaminetz, Russia and died 31 Aug 1983. Kaufman and Yetta had a son. Henry E.( wife Harriet ), born 7 Mar 1933 and died 30 Aug 1985 in Huntington Station, New York. 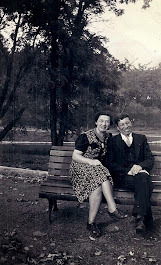 Louis Walder was born in 1905 in Ushitzer Podolier and married Estelle Waxler, born 1913. Louis was a furrier as indicated in the 1940 Census. They had a son. Wow. Good work. In think ethel walders maiden name was allahut. I am trying to speak to the oldest cousin who is 92. She will have some info. Thanks. I will change her name. Eleanor Newman dies 2/9/14 in Beachwood, OH. Eleanor was married to Leo Newman.